2-5 March, this special event station will be on air from Barcelona, the mobile world capital until 2018. 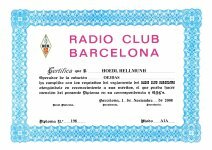 Ràdio Club Barcelona, EA3RKB, will manage the station, the QSL cards via EuroBureauQSL and the QSOs for EANET Award. To easy find the station, you can have a look to the agenda of the activity or DX Cluster. Members of FEDI-EA and/or EURAO: do nothing, automatically you will receive it via EuroBureauQSL. Needn't to send your own QSL. 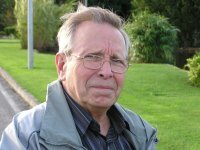 Warning: Don't try to send your QSLs via IARU bureaus classic system, they will never get us because its member society in Spain (URE) throws them away.